Create effective email marketing and other online marketing campaigns to meet your business goals. 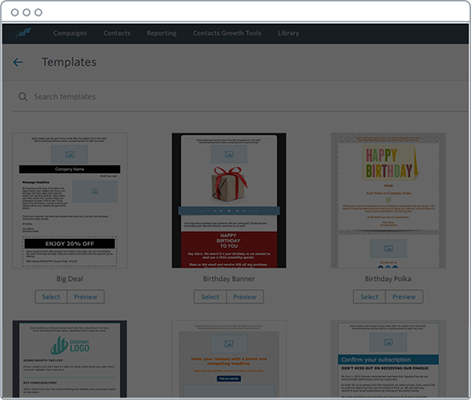 Constant Contact's editor makes it easy to customize the email template of your choice to look like the business your customers know. Build stronger customer connections with Autoresponder. 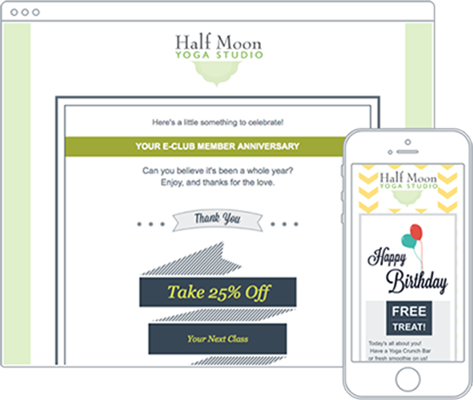 Simply create a personalized email once, and set it to send automatically for birthdays and other milestones. Add new contacts to your automated lists, and they’ll receive a scheduled series of emails you’ve created to keep your audience engaged—and ready to take action. Segment contacts based on the content they click to create more targeted lists, send more relevant emails, see better results, and make customers happy. 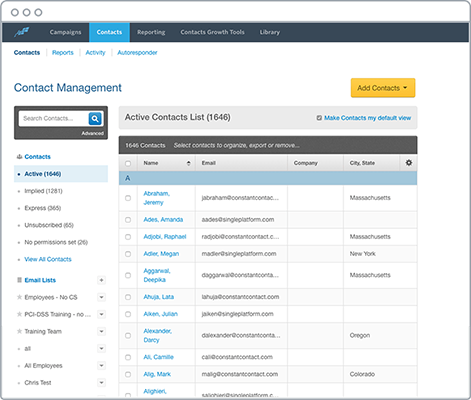 Contact Management, with Less of the "Management"
Easily upload your email list from Excel, Gmail, Outlook, and more. Constant Contact handles the rest: unsubscribes, bounces, and inactive emails update automatically. Hit send and post emails to your social networks all at once. 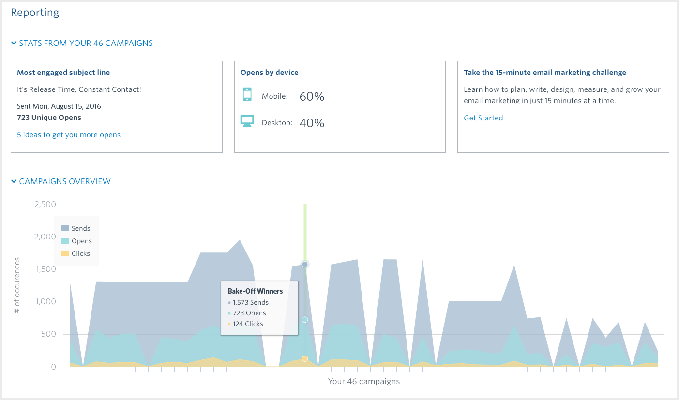 Constant Contact's real-time tracking tools report who's opening, clicking, and sharing your emails and social posts so that you can plan your next steps. Plus, Constant Contact's segmentation tools empower you to identify and group like contacts—so you can send the most effective emails. 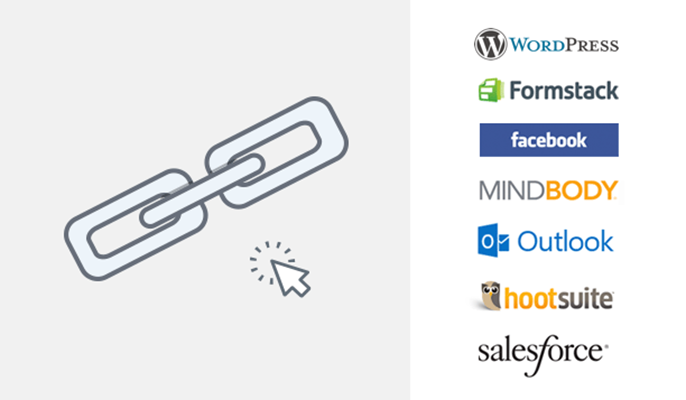 Integrate your Constant Contact account with tools you already use, like Salesforce, Outlook, Intuit, Results, and much more. Tailor Constant Contact to your needs with apps that let you create custom forms, add new contacts, manage donations — whatever you need to do.